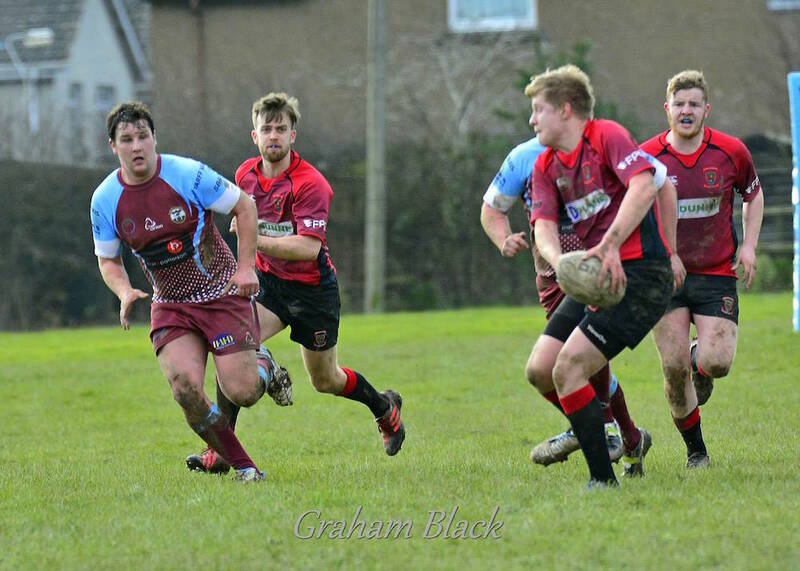 Last Saturday Linlithgow travelled to St Boswells who are undefeated this season, winning all their games to date. 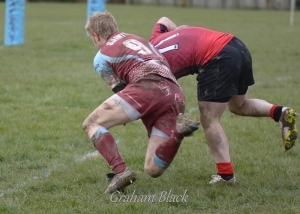 The Reds were understrength, missing captain Chris Bredin and a number of others. The weather was good for the time of year, with little breeze. 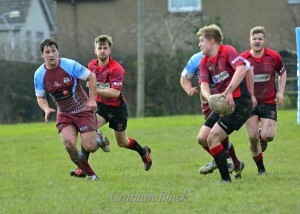 Linlithgow kicked off and for the first 10 minutes of the game were in control. Their reward was a first penalty for Jack Frame from the 10 metre line. 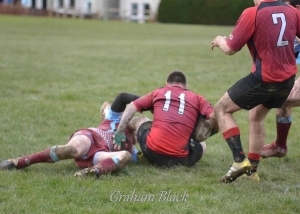 Linlithgow were matching the home side in all areas, but St Boswells were making ground with each carry, and they opened up their tally with a try in the corner which was duly converted. A further penalty increased their lead to 10-3. Linlithgow were coping well in defence, but a missed tackle allowed the home team number 5 to power through under the posts, the conversion going over. The Reds didn’t capitulate, indeed they pressed the home team hard and scored another penalty through Jack Frame to reduce the deficit. The Reds were pressing as half time approached but a breakaway nearly cost them, as the half ended, with St Boswells frustrated one metre short of the try line. Just after the restart, the home side refused an easy three points when choosing (not for the first time in the match) to kick for touch. Linlithgow were still well in the game and it was puzzling to the away coaching staff. 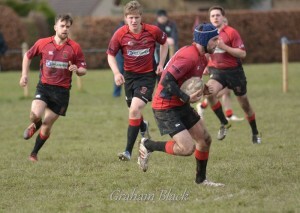 St Boswells finally made the points safe when a kick was knocked down and the number 5 ran in again. Another penalty went untaken, as the home team went in search of a try bonus point, which duly arrived and was successfully converted. 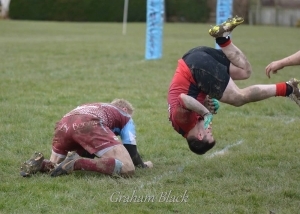 The Reds didn’t give up, and Cammy Walker would have scored but for a high tackle by the home team scrum half – see photo sequence below. 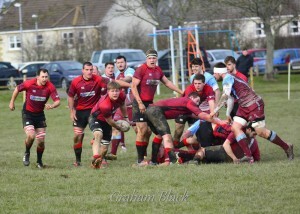 The scrum half was yellow carded for the incident but a penalty try was not awarded. 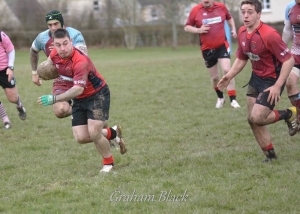 The game ended with St Boswells winning by a score of 31-6. They were the bigger and better side on the day, but the final score-line would have been much closer without the errors from Linlithgow. Jack Frame; Fraser Mochrie, Russell Murdoch, Euan Richardson, Cammy Walker; John Strachan, Jamie Livingstone; Callum McKeown, Euan Mochrie, Chris Archer; Steven Grant, Charlie Gillanders; Craig Scott, Stuart Bell and Ross Martin. Subs: Robbie Thomson, Cal Thomson, John Pauley and Drew Sommerville.